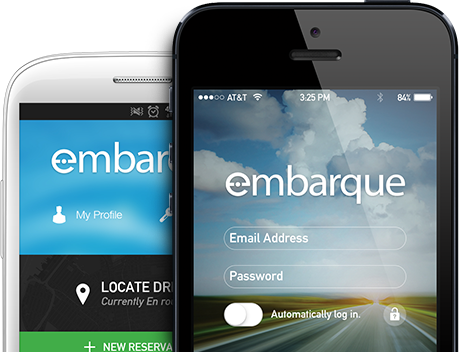 Dedicated to creating a new and better way to travel, Embarque is the intelligent choice in car service. With a modern fleet of fuel-efficient and hybrid vehicles, innovative technology, and professional drivers, Embarque invites travelers to think differently and leave the world of black cars and yellow cabs behind. Getting from point A to Point B has never been easier. Access safe and flexible chauffeur-driven service via our mobile app and receive vital travel information in real-time, including your vehicle's location, a picture of your driver along with his contact information, and the ability to book our services at the tips of your fingers.